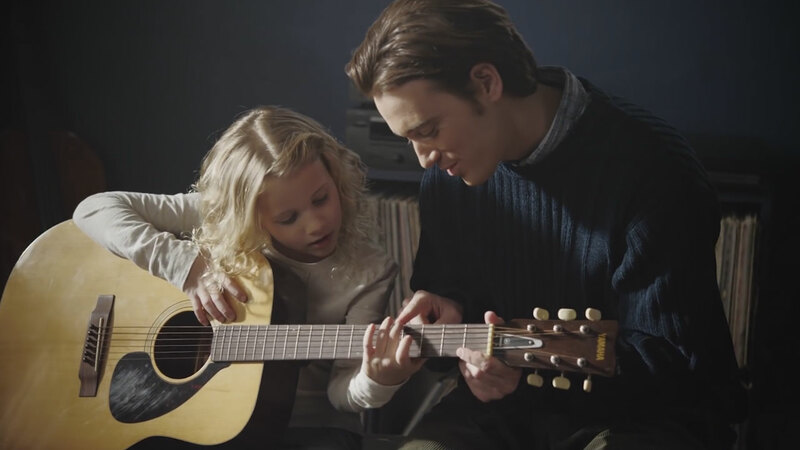 It's tricky to pull off a six-minute dramatic commercial, but Yamaha might have managed it—with a few caveats. It's reminiscent of Sony's also-lengthy—but less melodramatic—celebration of its own history, and the intersection between art and engineering. But Yamaha's wordless approach weaves in a powerful, more focused truth: Music is a gift that keeps giving, for the professional and hobbyist alike. The brand illustrates that point across three generations of a single family, where music is a source of passion, bonding and celebration, enhancing the human experience at key moments and across genres—something advertisers have struggled to articulate in the past, though neurologists (and pop producers!) could happily help to explain how it works on the human brain. The spot is also generically nostalgic enough to be like an ad for a car. But however saccharine this is, it's hard to blame an instrument-maker as big as Yamaha for wanting to celebrate the fundamental pull and power underlying its business. It might particularly resonate with anyone who's had the privilege of owning an instrument that doubles as a family heirloom, or who was inspired to pursue music by a parent, teacher or friend. Dramatizations of musical performance can easily become tedious. And the commercial's arc is a bit disappointing—in the end, one character's ultimate achievement is becoming a famous pop star (that's a grandiose, disproportionate payoff when so much of the ad focuses on simpler, more personal joys). But the outcome also makes brand sense, given that the advertiser, Yamaha Entertainment Group, also handles a broad array of celebrity partnerships, branded concert productions and the company's in-house label. (The ad was filmed in Tennessee and produced by YEG's founder and vp, Chris Gero). In the end, it's hard to argue the deeper point. Maybe they could have gotten there a bit quicker—and with a few less spoonfuls of Velveeta.